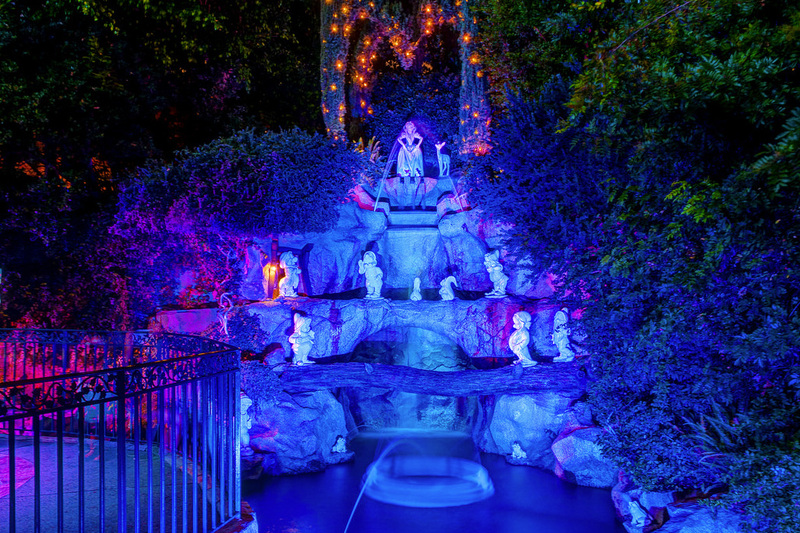 I’m wishing… the Snow White grotto at Disneyland would come back. A wooden construction fence was recently built around the beloved, if slightly off the beaten path, attraction, and now MiceChat reports that the 55-year-old diorama is completely gone. The marble figures of Snow White and the Seven Dwarfs were nestled in a pine forest with some animal friends in the shadow of Sleeping Beauty’s Castle. Imagineer John Hench, who designed the charming little display, said “Walt unexpectedly received a gift of statues … in wooden crates from Italy with no return address.” The eight figures were all the same size, either due to a mix-up or their origin as novelty soap bars. The mysterious origin of the sculptures has become legend, with many conflicting stories—including one that attributes them to Italian sculptor Leonida Parbla. The original 1961 artworks are now stored at Walt Disney Imagineering in Glendale (the ones that adorned the grotto and were recently removed were replicas). “The white marble statues could make any place I chose to put them look like a graveyard,” remembers Hench. “It could look like the place where we buried the dwarfs.” After being admonished by Walt, the designer came upon the vertical scheme and placed the princess at the top of a waterfall solving the scale problem through forced perspective. The widening rapids over the elaborate rockwork added elements of sound and motion to the quiet corner of the park. In 1983 a new recording of original Snow White voice actress Adriana Caselotti singing “I’m Wishing” was added was added to the well in the grotto. Coins collected from the well are donated to children’s charities. Now, though, the statues have been removed, the waterfalls are turned off, and reports say the rockwork is being “completely replaced.” Bright describes the scene as an “in-between,” borrowing a film term for a minor scene set between major ones.